Look Out For the November Issue! Have you ever wondered how record setters actually set all those cool Guinness World Records? 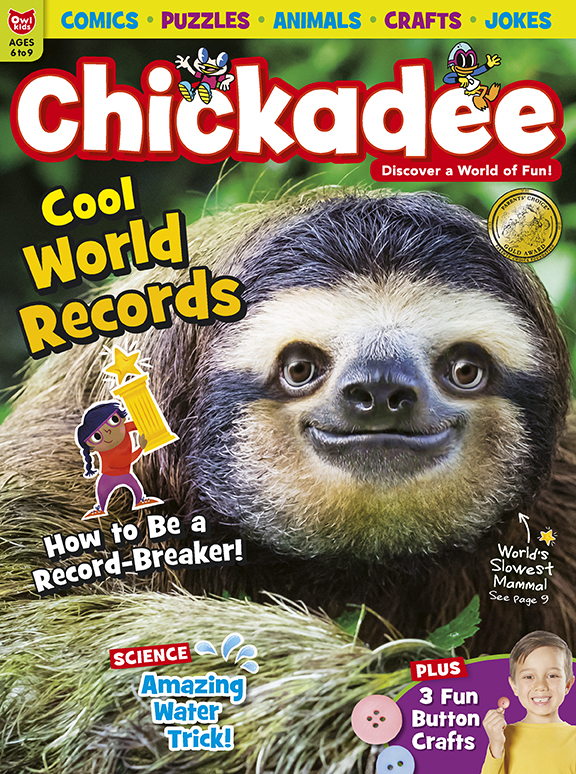 This month in Chickadee, find out the steps you need to get a record attempt started. People aren’t the only ones that can break records—animals can set records, too! What record do you think a three-toed sloth has set? Hint: it’s definitely not the fastest animal out there! This issue also has cool button crafts, an awesome water trick, and tons of puzzles and fun. Happy reading!